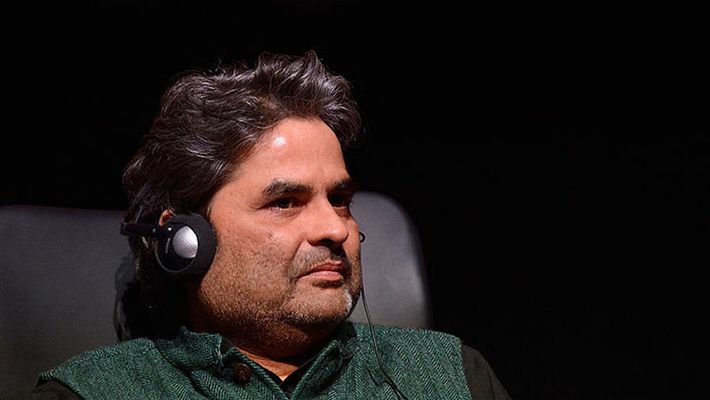 Vishal Bhardwaj, who won the Kerala State Award for his music in Malayalam film Carbon, says he is looking for more jobs as a composer and the award has only encouraged him to work in languages other than Hindi. Bhardwaj's first Malayalam film was Daya (1998), directed by Venu, who was instrumental in bringing the composer back for Carbon. "It is a great moment for me to be the first Hindi composer to win this award. It's a huge honour. I had done a Malayalam film some 20 years ago that was directed by Venu, who also directed this film. "I want to work in all the languages -- Telugu, Tamil, Kannada and Marathi. In fact, I want to direct a film in Marathi. The cinema there has gone somewhere else," Bhardwaj told PTI in an interview. Language is not always a barrier for a musician, believes Bhardwaj, who takes pride in capturing unfamiliar nuances. "More than challenging, it is exciting to work in another language because music has its own language. I have done an opera in France. I feel very happy when I am called to work in another language. "My only fear is correctly capturing the nuance. This is why I end up annoying the lyricist with too many questions. Nuances are the most important element like why we use 'raat or raina' in a song because these words tell you where they come from. I work a lot on that," he said. Bhardwaj began his career as a music director but shifted gears to direction where he has created an enviable body of work with critically and commercially lauded films such as his Shakespeare trilogy -- Maqbool, Omkara and Haider besides Makadee, Blue Umbrella, Kaminey and Pataakha. But in recent years, Bhardwaj said, the musician in him had started to feel left out. "I am feeling a void in me. I want to create more music. That's why I am reaching out to my friends that I want to do more music outside my films. I want to work as a technician and as a musician again. "I feel the music composer in me was being neglected for past many years... The filmmaker in me had overpowered the musician. I want to go back and work for more filmmakers. I hope I get more work," he said. Apart from "Carbon", the music director has also composed the music for Abhishek Chaubey's upcoming film "Sonchiriya". Bhardwaj is currently busy with a Netflix adaptation of Salman Rushdie's Midnight Children.